I've a finishing tip today but first let me show off my quilt. I finished assembling my quilt top last week from Cheryl's @ MeadowmistDesigns mystery QAL. I just love the design and the mystery was a lot of fun. I downsized my blocks from the 12'' (finished) from the pattern to 6'' finished so my quilt - soon to be wall hanging - is currently 30'' square without borders. The blocks themselves were made up of 2'' finished blocks - lots of HST in this one. I used American Made Brand solids for this one. The overall quilt top is 30'' square. Once a quilt top is assembled and hanging around waiting for borders or maybe going right to the quilting step, I always run a line of stitching along the edge of the quilt. This keeps all those seams from popping just a thread or two. It will also keep things from stretching out of shape. The line of stitching is close to the edge, roughly at the 1/8 mark. You don't have to be precise with this - just make sure it is well short of the 1/4'' mark. 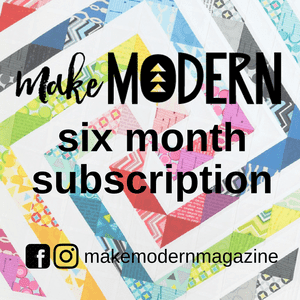 It doesn't take long and helps keep your quilts in shape for the big finish! My quilt top will be linked up with Main Crush Monday's, Freemotion by the River, WIP Wednesday's, Let's Bee Social, Midweek Makers. Fabric Frenzy Friday, Finish it Up Friday and Finished or Not Friday. I will also be linking up with Tips and Tutorials Tuesdays. Your small quilt is beautiful. I love the colors in it. Such a pretty little quilt, so fresh looking. Such a pretty quilt - love your palette! Thanks for the reminder that is'a always good to staystitch around the outside edges. This is a beautiful quilt... great use of colour! I do the stay stitching on the quilt edge also... you never know how long it might be living in the UFO closet! Oh wow! I don't think I've seen this quilt as a mini yet. It's gorgeous! Very pretty, soft soothing colors. I've always loved a fresh blue and green combo. Great idea with the border stitch! Such a pretty quilt. Your patience in creating all those triangle blocks in the smaller format is impressive! I always edge stitch as well and it really does not take much time and saves so much frustration. Thanks for sharing. Very pretty little quilt! I also stay stitch the edges! I like to do stay stitching, too--well, when I think of it. 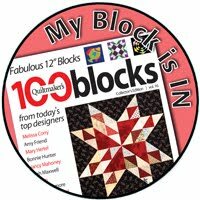 I have found that it's really important for individual blocks when sending them in the mail for inclusion in a group-made quilt. For those, I do want the blocks to give a bit if necessary, so I stitch just a few stitches over any of the seam joins along the edge instead of doing the whole edge. Very nice! I'm looking forward to this weekend on Retreat, where I hope to make serious headway on my mystery! I saw that Christa Watson called doing this a "victory lap" about a year or so ago; I don't know if she came up with that name herself or if there is another attribution, but I especially do this when there is any bias edges on the edge of the quilt. But as you mention, this will keep seams from popping and all kinds of great things. Great tip and thanks for linking up! I love the pastel colours in your quilt. So pretty. This is beautiful - colors you chose and the design/pattern. 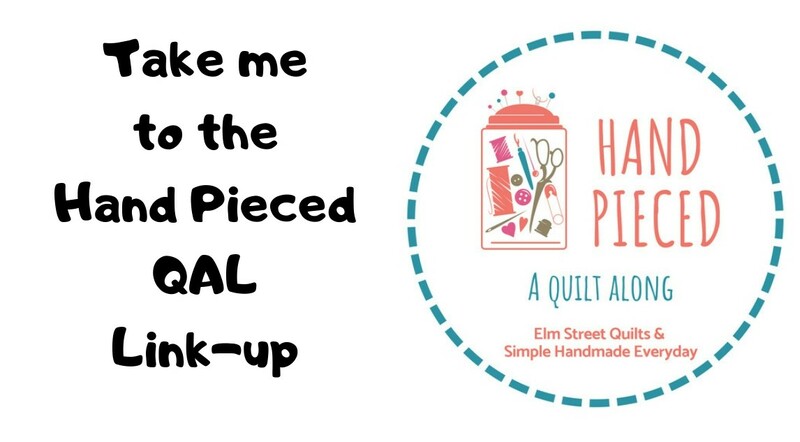 Lovely quilt, and a great reminder to staystitch around the edges! Wow, those triangles seem tiny! Very beautiful fabric choices for this quilt. I must get going on mine. I send most of my quilts off to a long arm quilter, and all of them really appreciate the stay stitching done on the outside edge. It is a great tip. Very pretty mystery quilt. I never got around to making one, but might later. Love the color palette you chose. Stitching down the quilt block edges, thank you. Someone noticed that I do that, and asked me why I do that, and of course it is so that the block doesn't start coming unsewn during quilt top piecing and quilting. Your blog is very fun + full of learning tips. Beautiful! Love the colors you used. That blue in the middle really shines. Congrats on a very pretty flimsy. Nice! I like your colors! play - improv QAL Kickoff! Bella Basics - FQS QAL - Come join the fun!